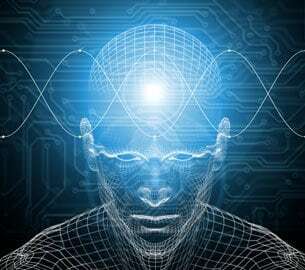 Access Consciousness Bars is a process of lightly touching 32 points on your head to help remove the redundant thoughts, beliefs, judgments and points of view you’ve accumulated that are holding you back. If you’re looking for stress relief and clearing mental clutter, The Bars can help. It’s rather like cleaning up the hard drive of your mental computer. You’re hitting ‘delete’ on the junk folder and creating more space for new useful uploads. Furthermore Access Bars helps to stop those automatic limiting thought programmes that come up and disrupt what you’re trying to achieve. What appears to happen is that as the practitioner touches the points which correlate to head meridians, they discharge the energy which holds the limiting beliefs in place in the neural connections of your brain. It frees up energy to help you be more energised and calmer. Many people say they feel more space in their head – as if it’s been decluttered. How does Access Consciousness Bars work? The theory is that there are are 32 bars of energy that run through and around your head that connect to different aspects of your life ̶ such as body, control, creativity, communication, power, aging, sexuality and money. They store the electromagnetic component of all the thoughts, ideas, attitudes, decisions and beliefs that you have ever had about anything. Each thought, idea, attitude, judgement, decision or belief that you have fixed in place solidifies the energy and limits your capacity to change anything in that area and your ability to receive. When you change the fixed energy, you release the limitations, blocks and difficulties around that aspect. Then you allow positive change, less effort and greater ease to come into your life. What happens in an Access Bars session? This is an incredibly nurturing and very relaxing process. All you are required to do is get comfortable and then receive. You lie fully clothed, on your back. The Access Bars practitioner lightly touches a series of points on your head – each for several minutes while you relax. This process releases all those redundant ‘files’ and ‘programmes’ which are holding those limiting thoughts and beliefs in your subconscious, accumulated over lifetimes. So ease and lightness can take their place. Touching more than one Bar together begins to clear away all the points of view of those two Bars in relation to each other. So allowing for exponential change. It’s great for stress relief. At worst you may feel like you have just had the best massage of your life. At best your whole life can change for the better, with total ease, as you’ve undone limitation in many aspects of your life. What are the potential benefits of an Access Consciousness Bars session? Access Consciousness Bars does not claim to be a alternative healing modality. However, things can happen after even just one session of releasing unhelpful stuff. Furthermore, although I’m working as an Access Bars practitioner, the other healing energy I can access flows whenever I work with a client. So you are also receiving healing. Many clients report feeling healing energy in other parts of the body while I’m running the Bars on the head. In the 21 years that this technique has been practised, the “Bars” have assisted many people in changing various aspects of their body and their life. This includes health, finances, relationships, anxiety, stress and more! For the ultimate uplifting experience combine the Indian Head with Access Bars in an hour long session of stress relief. To help release the limiting thoughts, beliefs and judgements that are holding you back – all while you relax! The first part, the Indian Head Massage, totally relaxes the body and the mind. It makes you more receptive to letting go of your mental stress in the second part, the Access Bars.